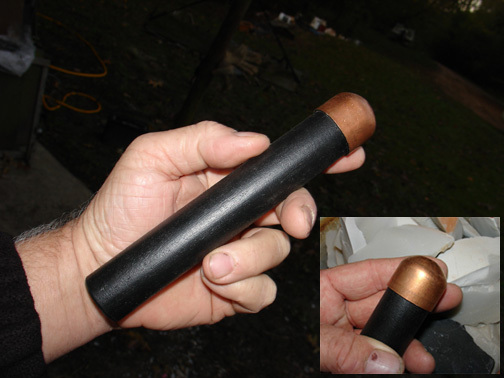 A large lead filled copper bopper, approximately 7 inches long and just over an inch in diameter. Had a lightweight wooden handle covered with a nonslip coating. This tool weighs a scant 4 ounces but packs a big whallop and can be swung all day. Perfect for beginners or expert, although thoroughly nontraditional this is an easy tool to master.